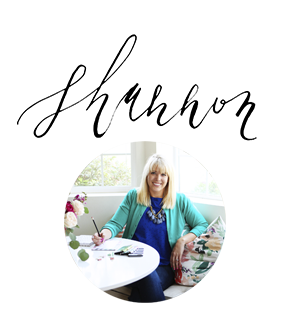 One of my favorite ways to eat a “treat” with no sugar or processed foods is a smoothie. They are especially great on a hot day and my kids love them too! 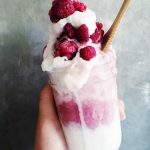 I love this Dairy Free Coconut Raspberry Smoothie because of the layers in it! 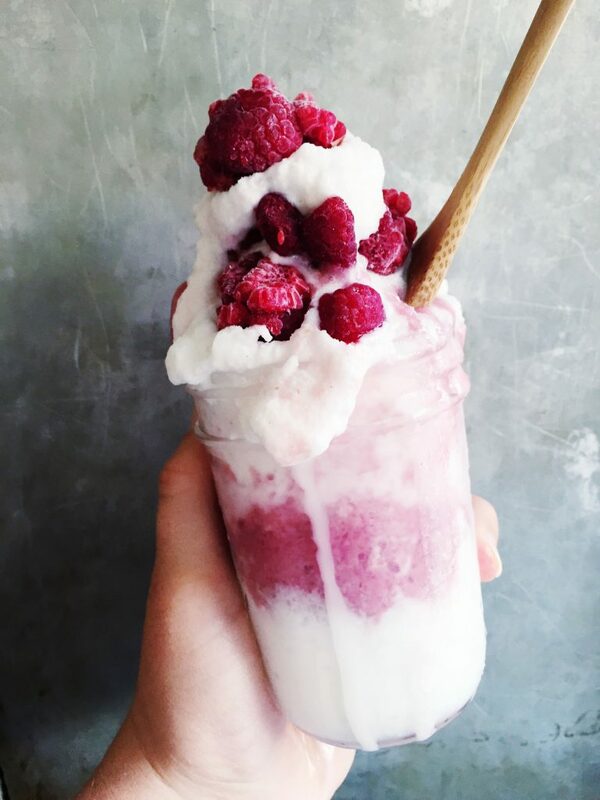 I love getting a burst of fresh raspberry flavor then mixing it with sweet creamy coconut. 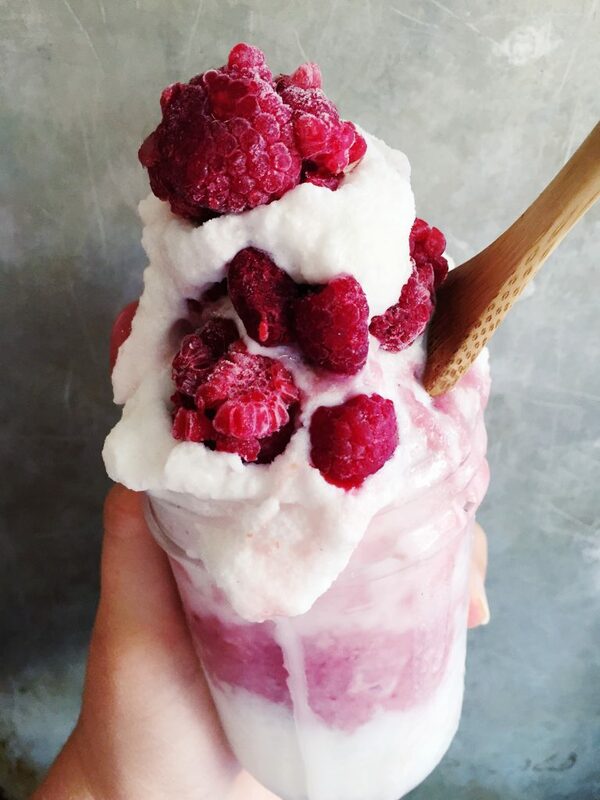 Just make your coconut layer first, then freeze it while you make the raspberry smoothie. Layer them up when serving and top with some raspberries! For coconut smoothie, place all ingredients in blender and blend until smooth. Pour into tupperware container and freeze for up to 30 minutes. Meanwhile, place all ingredients - except ice - for raspberry smoothie in blender. Blend for several minutes at high speed to really break up the seeds from the raspberries. Once it is completely smooth, then add ice as needed to thicken it up. 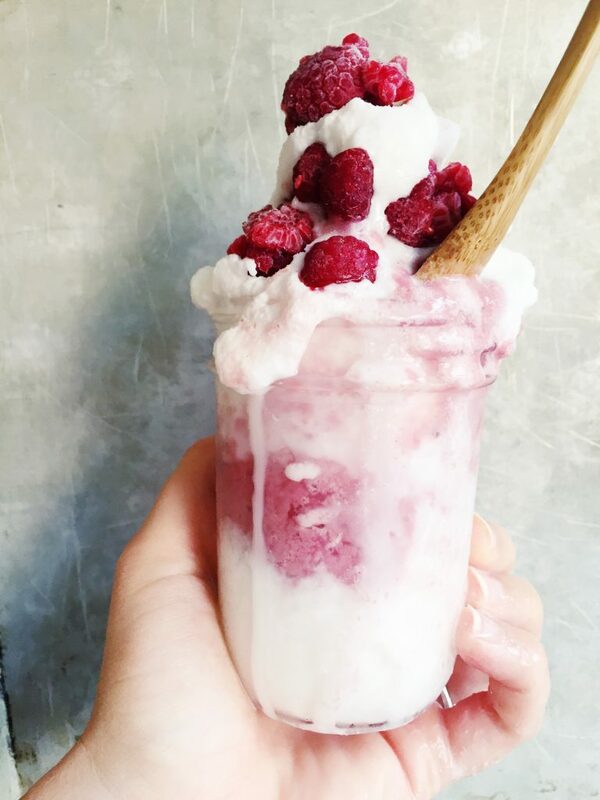 Layer with coconut smoothie, top with raspberries, and enjoy! 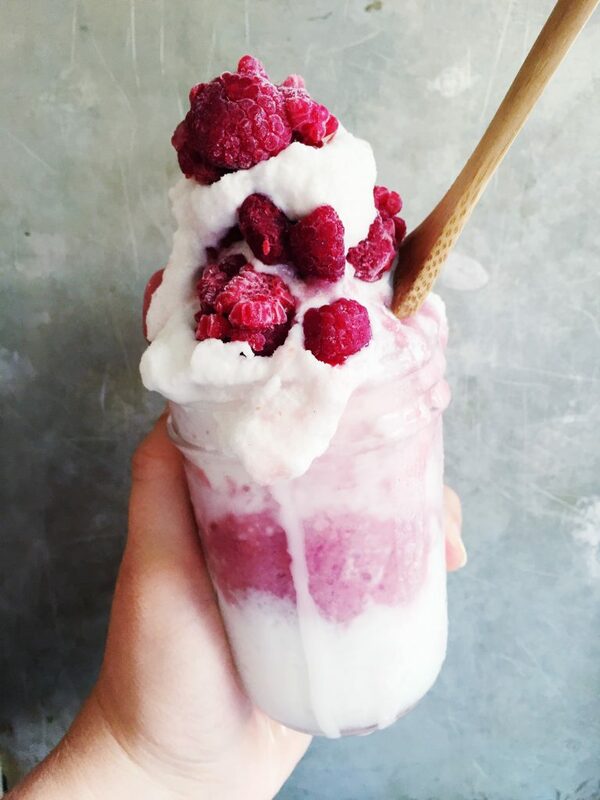 Let me know if you make this Dairy Free Coconut Raspberry Smoothie ! 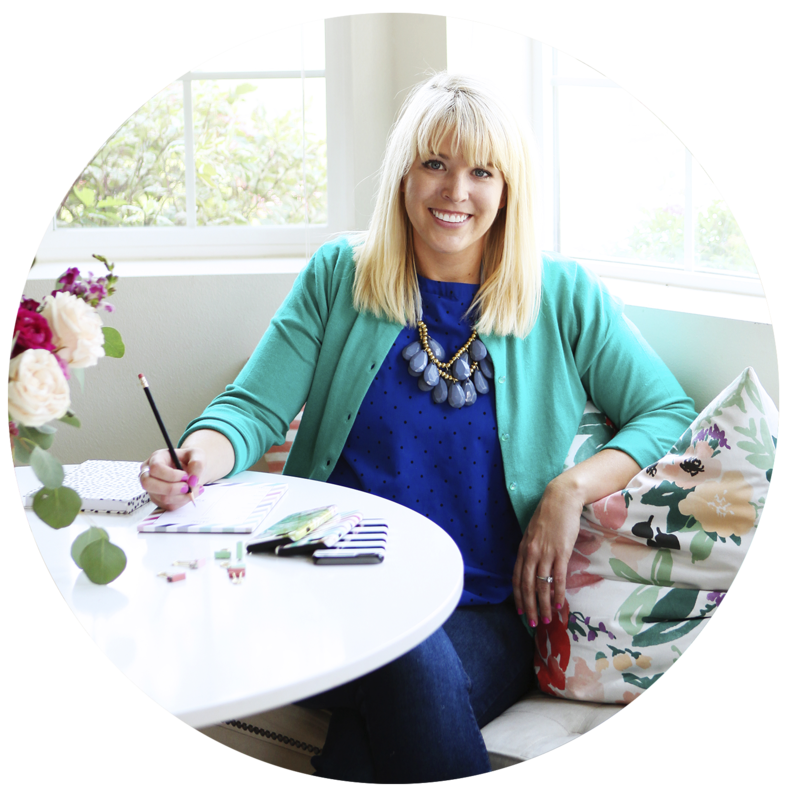 If so, be sure to tag me @plumstreetprints / #plumstreetrecipes on Instagram or Facebook. If you like dairy free smoothies, you should also check out my Dairy Free Chocolate Blueberry Smoothie. This is exactly what I needed ! I went vegan some months ago and it will definitely help replacing ice cream (too much sugar ugh). Thank you Shannon !